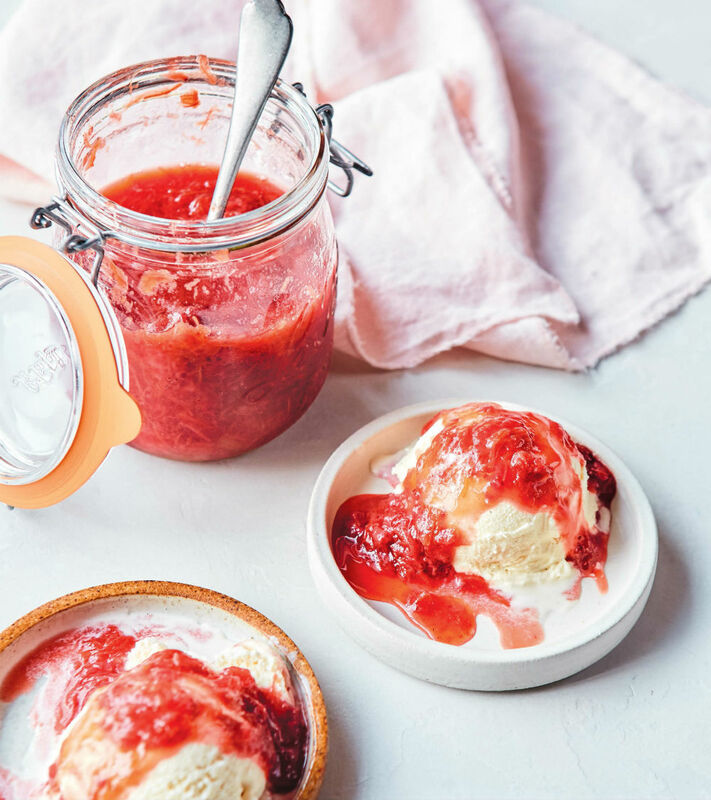 You Are Here: Home → Super-Easy Strawberry Rhubarb Compote—In A Pressure Cooker! Remember the days when making a fruit compote required you to stir and simmer for what seemed like an eternity? Well, we don’t have to go down memory lane! But it seems like there is a life before Instant Pot and after Instant Pot, right? This amazing pressure cooking gadget simplifies our lives beyond measure! 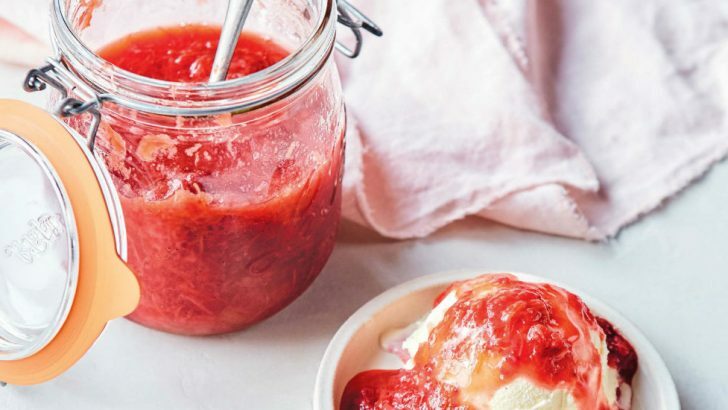 This Strawberry Rhubarb Compote is so easy to make and so full of flavor. It’s sweet and tart and fresh all at the same time, not to mention versatile. You have to try it! As an everyday sauce, you could pour this strawberry compote over vegan ice cream or homemade one-ingredient banana soft serve, swirl it into some dairy-free yogurt with some nuts sprinkled on top, pour it over Sunday morning breakfast waffles, or pair it with with a soft chocolate brownie. There are classic pairings, and then there are perfect ones like strawberries and rhubarb. They’re in season at the same time, and the sweetness of the berries combines with the tart, tangy rhubarb to make a well-balanced compote. Left to my own devices, I’d happily eat a bowl on its own, but for company I serve it over vanilla coconut ice cream. Combine the rhubarb, strawberries, sugar, and cardamom in the pressure cooker and stir well, making sure to coat the rhubarb and strawberries evenly with the sugar. Let the mixture sit for 15 minutes, until the fruit releases its moisture. This is all of the liquid you will need for the recipe. Give the mixture another good stir. Let the pressure release naturally (this will take about 15 minutes). When the pressure has fully released, open the pot and stir the compote to break down the rhubarb. Transfer the compote to a heatproof container, where it will continue to thicken as it cools. Serve the compote warm or chilled. It will keep in the refrigerator for up to 1 week. To make this recipe in an 8-quart pressure cooker (such as an Instant Pot), double the quantities of all of the ingredients. What On Earth is Rhubarb? Rhubarb is kind-of an unknown celery look-alike vegetable. The long stems can be cooked with sugar and used in many different desserts, but the leaves have a high content of oxalic acid which makes them inedible. So skip the leaves! With an intense reddish pink color, rhubarb brightens up countless summer recipe preparations. I first discovered it while living in Germany and eating Rhubarb Pie (made by my mother in law). I loved its tartness and texture! It’s in season from spring to late summer but the beauty of compote and jam is that the sugar content can preserve it for long periods of time. Of course, you can also freeze the stems and use it when rhubarb is out of season and no longer available in stores. What’s more? Rhubarb is also packed with nutrients like vitamin C and vitamin K! Do I Have To Use A Pressure Cooker? Absolutely not, but it’s way faster when you do! There are endless preparations you can make in a pressure cooker in 30 mins or less, and the best part is, you don’t have to start preparing your meal hours in advance like you would with a slow cooker. No doubt this is one of the things Coco Morante had in mind when venturing into the Instant Pot world. 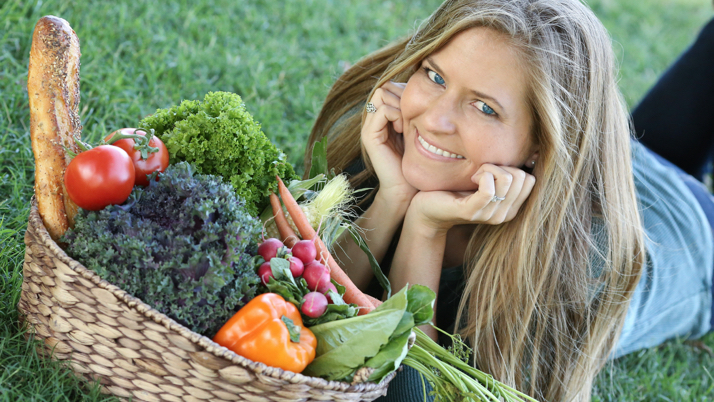 Coco is a recipe developer who fell in love with the amazing possibilities it had to offer and launched a blog and a series of pressure cooker cookbooks, with her latest being entirely vegan! 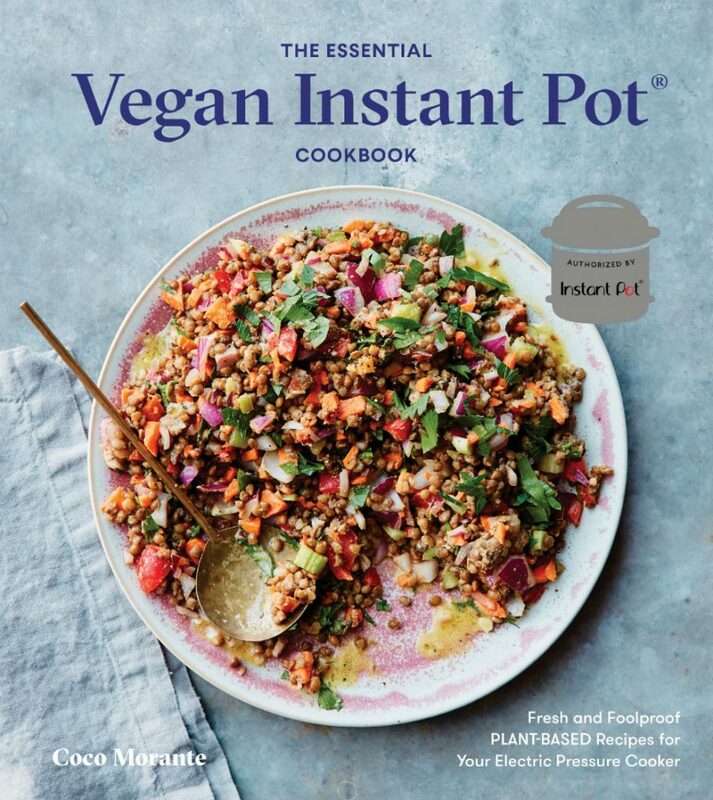 So, of course, we had to share with you a recipe from her latest book The Essential Vegan Instant Pot Cookbook since she is an Instant Pot eminence. 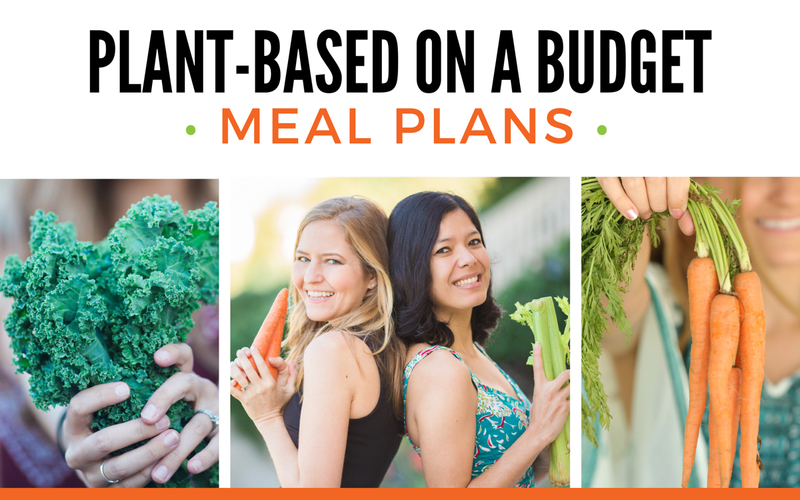 Hungry For More Vegan Instant Pot Recipes? We have a recipe for Instant Pot Lentil & Vegetable Soup that you should definitely try out. It’s super-easy to make and really delicious, especially on a cold night. But my favorite way to use a pressure cooker is simply to fast-cook staples ingredients, like rice, beans, lentils, potatoes, artichokes, and beyond. If you used to cook these foods using a pot on the stove, you’ll be amazed at how quickly they cook up in a pressure cooker. 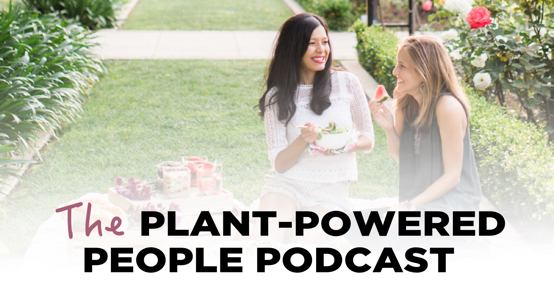 If you are an Instant Pot enthusiast you can pick up your copy of Coco’s book here! Reprinted with permission from The Essential Vegan Instant Pot Cookbook by Coco Morante, Copyright © 2019. Published by Ten Speed Press, a division of Random Penguin House LLC. Photographs copyright © 2019 by Colin Price. 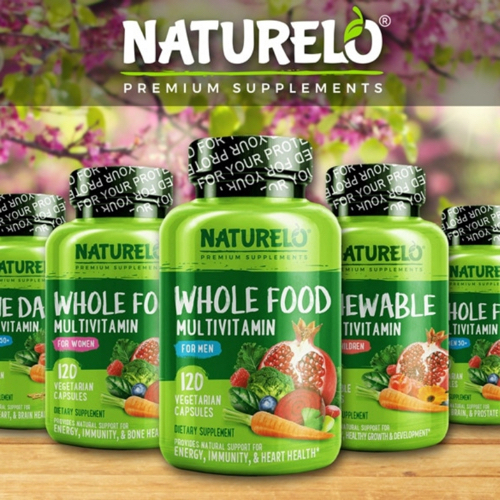 Please note that this article contains Amazon affiliate links, and shopping through these links supports World of Vegan.